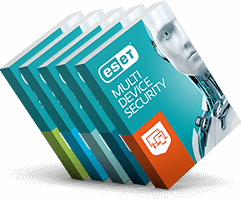 IDC MarketScape names ESET a Major Player in mobile threat management. ESET has been named as a Major Player in the IDC MarketScape: Worldwide Mobile Threat Management Software 2018-2019 Vendor Assessment (doc # US44521018, December 2018), which analyzed fourteen major MTM vendors. While traditional PC computing generally experiences a greater danger in security threats, mobile management teams are focusing on additional mobile security as it becomes increasingly important – particularly with the rise of phishing and social engineering attacks on mobile users. Many organisations use enterprise mobility management (EMM) as their primary mobile security strategy but only MTM software actively scans for mobile-related threats on devices and can address malicious apps, which signals its growing importance. Older Email Security does not end with your password. Newer AI-era in cybersecurity: A step toward a safer world or the brink of chaos?